Limited Stocks. Price £295.00 + FREE Mainland UK Delivery. The Dom Pérignon x Tokujin Yoshioka limited edition was created to celebrate the birth of a new vintage: Dom Pérignon Vintage 2009. 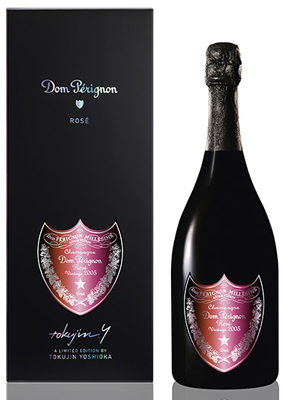 This collaboration is an encounter between the dark, iconic and playful style of Dom Pérignon Vintage and the luminous, solar and elegant work of Japanese artist Tokujin Yoshioka. The creative and powerful design of Tokujin Yoshioka, inspired by nature, opulent and yet minimalist, reflects the characters of Dom Pérignon Vintage: rich, bold and avant-garde.